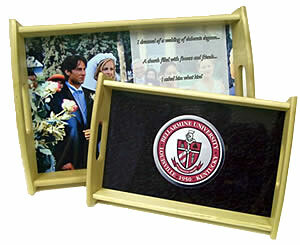 These trays are sturdy enough for everyday use, and attractive enough for a unique wall decor item. 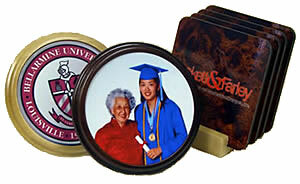 The sublimatable hardboard insert is gloss finish and coated on one-side only. The hardwood sides are pre-drilled and ready to assemble after sublimation. These new trays are easier to assemble than ever before with simple black screws. Packed 2 serving trays per box. 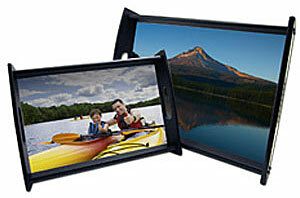 This one sided photo box is beautifully lined in the interior. 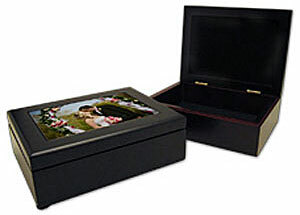 Available in Expresso Black, a great item with a family photo, as a wedding gift, baby keepsake or even a memorial box. 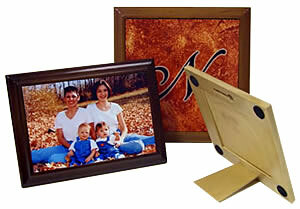 Unisub Framed Tiles (Mahogany) 6"x6"